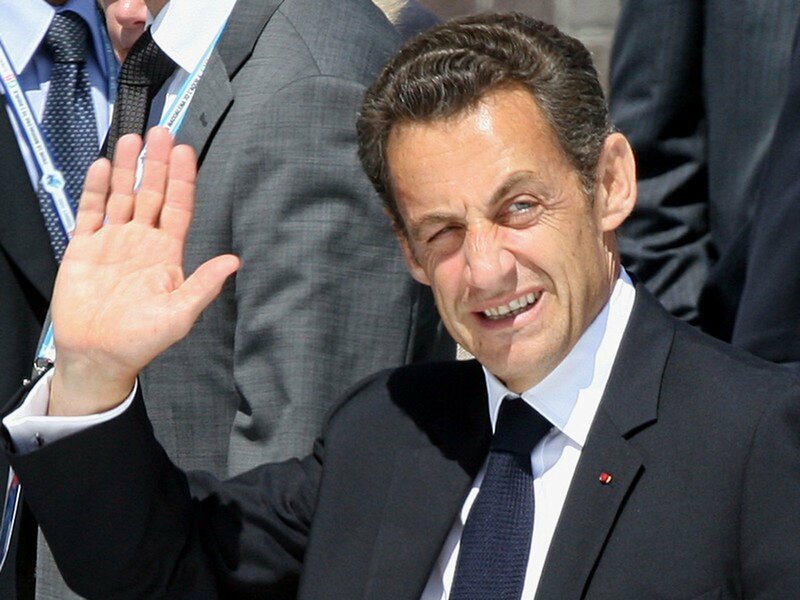 French President Nicolas Sarkozy leaves hospital after tests due to his fainting fits. French President Nicolas Sarkozy has left hospital after tests confirmed that his collapse was unrelated to any heart problem. 2009-07-29 French President Nicolas Sarkozy claims he is fine after his fainting fit. 2018-04-13 French judges clear the Tarnac Nine, accused of performing an anarchist terror sabotage in a controversial trial, of wrongdoing and describe the existence of a terror group as a "fiction". Defence lawyers had accused ex-President Nicolas Sarkozy's government of misusing counterterror law. 2016-07-3 Former French President Nicolas Sarkozy resigns as leader of The Republicans party and announces his candidacy for President again. 2016-04-28 France's National Assembly votes to adopt a non-binding resolution to lift European Union sanctions against Russia, applied after Russia's annexation of Crimea in 2014. Former President Nicolas Sarkozy's Republicans, as well as center-right and far-left groups voted in favor of lifting the sanctions, while the ruling Socialist Party and The Greens voted against the resolution. 2015-12-13 With most of the votes counted, the opposition conservatives of former president Nicolas Sarkozy's party win in six of the country’s 13 regions and lead in the Paris region. The ruling Socialists of President François Hollande's party capture five regions. The winner in Corsica is not affiliated with a major party. France's far-right National Front (FN) fails to win a single region but did record its best showing in its history. Voter turnout was 58 percent. Definitive results are expected Monday.